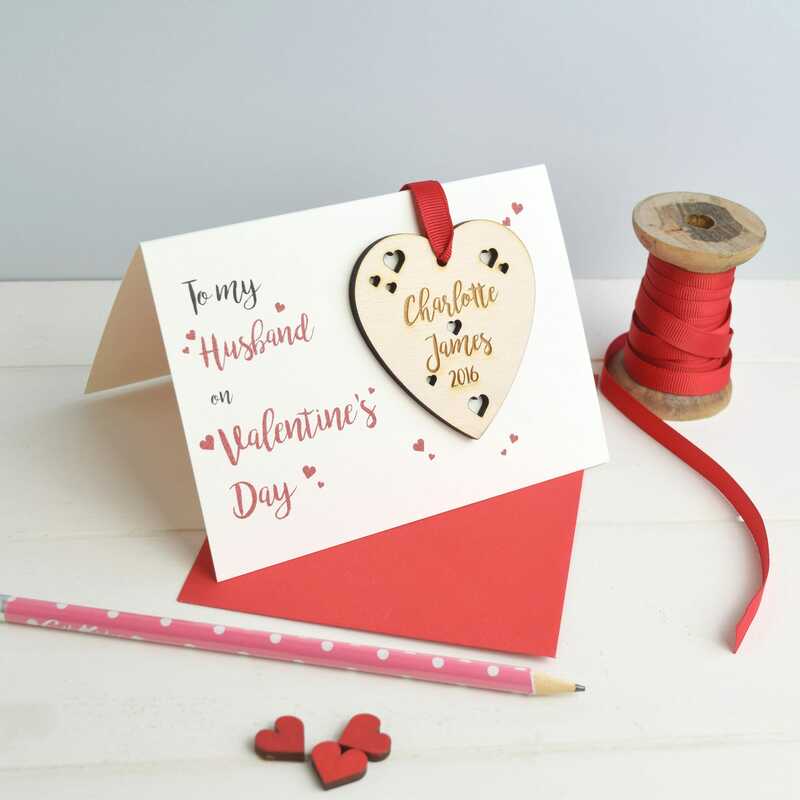 A beautiful personalised Valentine's card for your husband. 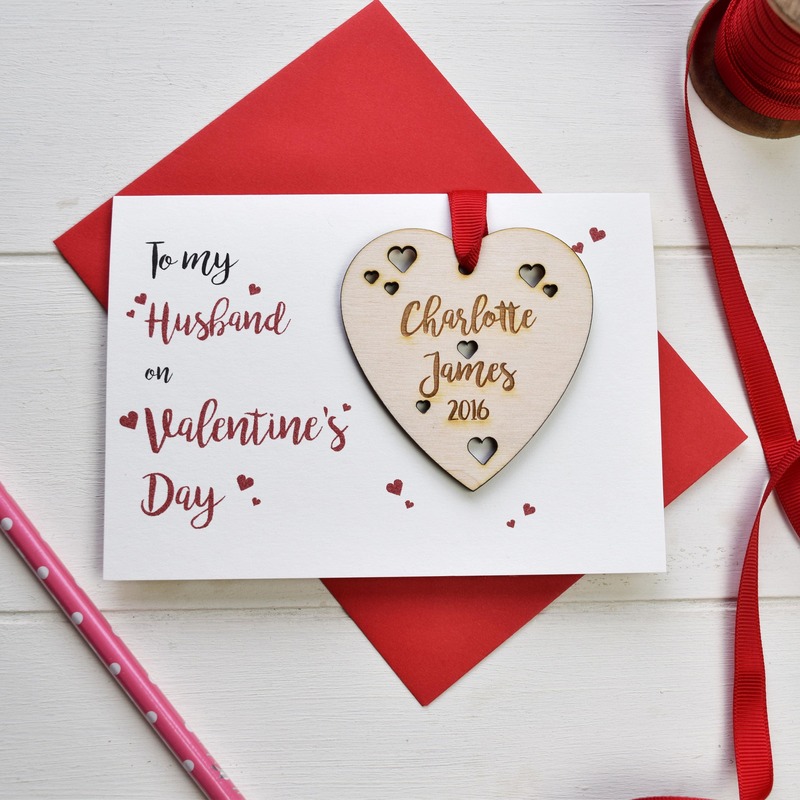 Each card is printed with the message "To my husband on Valentine's Day". 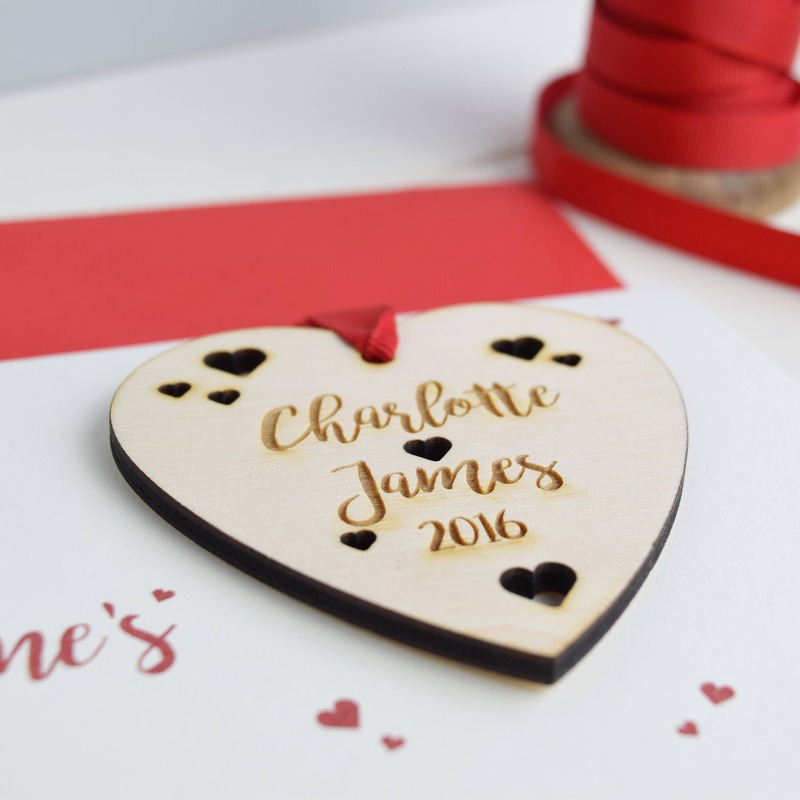 Attached to the card is a delicately cut and engraved wooden heart token which is engraved to order with your partner and your name's. The token is finished with a rich red ribbon. The card is left blank inside for your own message and comes with a vibrant red envelope.